More than 650 employees at Lyse use Portal, and more than 150 technicians access the mobile app on a daily basis. 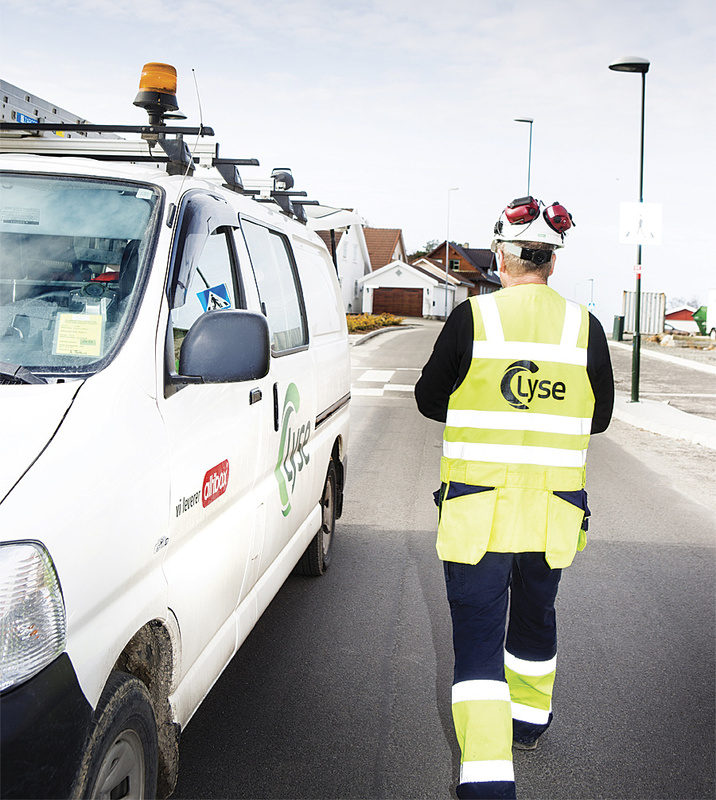 As a purveyor of smart homes, location awareness is crucial for Lyse, a Norwegian industrial group that distributes power and gas, district-wide heating, fiber-to-the-home Internet and television services, and more. To control smart amenities such as lighting, heating, and burglar and fire alarms—as well as provide welfare technologies that assist people in their everyday needs—efficient asset management of its utility network is fundamental. Employees both in the field and in the office need to be able to locate cables, pipes, cabinets, and stations, which requires seeing them on a map. But getting employees to be able to quickly and easily retrieve map information, independent of their work location, has been challenging. For a long time, field crews had to either print maps in the office before heading out on a job or call the office to have someone print and send the map. And fieldworkers typically have to perform several tasks at various locations during a workday, meaning that they spent a lot of time just waiting. Lyse had to establish a user-friendly mapping program for field crews that also had a simplified user interface for office employees. Given that Norwegian authorities have classified the company’s energy and telecommunications infrastructure as sensitive information and critical infrastructure, the solution had to be highly secure. That is why Lyse chose to implement Esri Portal for ArcGIS. Lyse needed a flexible and generic product that worked for different users throughout the company. The solution needed to map out all asset information and make this available in an easy-to-use interface on all devices—those used both in the field and in the office. It also had to allow fieldworkers to collect and record information—with pictures, when possible—while they were out on a job. Management needed to have an operational overview as well, and the solution had to be configurable so it could be integrated with another system. Most importantly, it needed to meet corporate data and information security policies, meaning that the company had to be able to control permissions and access to user- and group-specific map information. The solution Lyse came up with is grounded in Portal for ArcGIS, which contains web services that are assembled in different maps and adapted to various users’ needs. 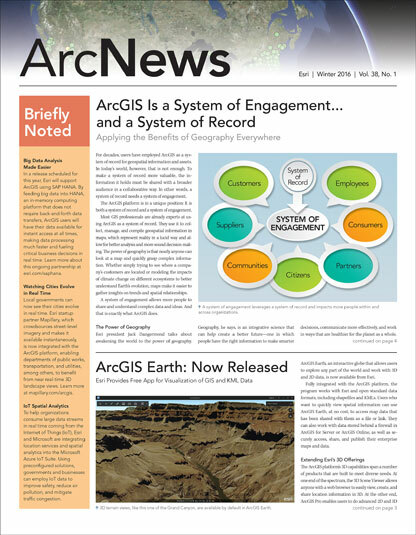 These maps are made available both on the web and on mobile devices via Collector for ArcGIS. Since sensitive information is involved, the product makes data and information security a high priority. Portal is directly linked to Lyse’s private app store, which ensures that only authorized users can access the various datasets and makes administration of groups and users easy. Additionally, the Collector app is encapsulated in a mobile device management (MDM) solution, where access to apps and information is governed. Mobile devices and tablets are also enrolled in MDM, and a part of the device storage is isolated and encrypted, making all communications secure. Thus, Lyse retains full control of company information on the devices without affecting employees’ private apps and photos. And if someone leaves the company or loses the device, an IT administrator immediately removes the company’s data from it. The solution is simple and intuitive. With the app available in Lyse’s app store, Android and iOS users of all IT skills can easily access, download, and begin using it without prior training. Now, field crews can connect to Portal and access web maps on their mobile devices, and employees in the office can access easy-to-use web maps on their computers. With these maps—which accurately locate all the energy and telecommunications assets in Lyse’s network—fieldworkers can immediately identify and start any investigations without having to wait for a coworker to send them the information they need. The maps also contain data on planned projects, ongoing digging activity, work orders, customers, and even parcels and land usage, providing an operational overview of all activities at Lyse. Building on this, the various business units in the company have set up their own maps to ensure that they receive the information they require for their projects. Using the app at Lyse is voluntary, which has had the positive effect of inducing users to take ownership of it. They decide for which purposes they want to use the solution and determine the information they would like to see. Today, more than half of the company’s 1,300 employees use Lyse’s Portal, with more than 150 technicians accessing the app on a daily basis. Lyse’s asset management processes have progressed significantly. Field technicians really like how the maps center on their GPS coordinates and only make relevant map layers visible. This happens just a few seconds after the app starts up, so it reduces clutter right away and allows users to focus on the task at hand. Lyse technicians also find it helpful to use the app to identify asset characteristics, such as part and model numbers, install dates, and manufacturers. Being able to search for assets by the name of the operation under which their project falls has also proven advantageous. Overall, Lyse field crews view the app and the online maps as tools that help them do a better job. Fieldworkers report that they save up to 30 minutes per day using the Portal software-based solution, mostly because they don’t have to spend as much time retrieving needed information or troubleshooting. Several business units at Lyse have also made Portal central to their operations. Since almost all the company’s activities have a geographic component, the maps ensure that employees in the office interact with crews in the field. They also facilitate information flow between various teams, such as project development and asset maintenance or operations and customer care. Seeing further potential in the solution, Lyse continues to extend the Portal capabilities and usage. The application supports data collection, and Lyse has opened it up to user feedback on GIS documentation (which was previously reported via paper). Across the company, having faster access to maps has improved how Lyse delivers power, Internet, and television services to smart homes and other customers. And with sustained development of its Portal software-based solution, Lyse will persist in breaking new ground.